An album that explores Australia's Scottish Cultural heritage. 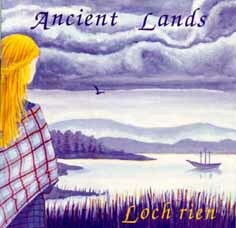 "Ancient Lands" is the debut CD from the Australian Celtic fusion band "Loch'rien". This CD contains Original Contemporary Celtic music with its haunting melodies and rich textures, lush keyboard arrangements, bagpipes, violins and Scottish Gaelic lyrics. The name "Loch'rien" comes from the Scottish Gaelic "Queen of the Lake"